We would remind you of how powerful you are as individuals, and how you have more influence on what conditions are around you than you might think. That is why we often remind you of the need to be focussed upon all that is positive. In a time when there are many dire predictions going around, you can offset them by concentrating on all that is positive such as the many beneficial changes that are about to manifest. Many of you are beginning to realise that where you place your energy is exactly where it will work to bring about your desires. The problem lies with those who focus on the negative not realising that they are empowering it. It may sound odd to some people, but that is how the Law of Attraction works. It knows not what the outcome will be, but powers whatever it is you have in mind. When you accept and fully understand your true potential, you will know that you have unlimited powers, and some of you use them without realising it. An example would be self-healing, although some do not understand that by focussing upon the illness you need to tell yourself that you are healed. By affirming that you are ill and telling your body that you are it perpetuates the condition, and this is because the Law of Attraction does not question the reason behind it. When you consider the larger picture and your coming Ascension, then clearly you focus should be firmly placed in that area. Bypass the negative thoughts being expressed by those who are concerned about their future, and have little or no knowledge of what is occurring at this most important time. You can in fact help offset the negative thoughts being put around, and where possible help those who are worried by expressing your confidence in the future. The media is gearing up for the anniversary of 9/11 and still does not feel free to discuss the obvious evidence that it was an inside job. They will carry on supporting the “official” verdict that is patently false and contrived to protect the real criminals, who will answer for their crimes in the Courts of Justice. Knowing that justice will always take place, you need have no concern about the outcome of any crimes against Humanity. By doing so will only continue to energise the same fears again, that is clearly to be avoided. We do in fact have too much concern over such issues, as there is so much good news circulating about the wonderful future that awaits you. Events are near to occurring that will immediately attract people’s attention away from the present conditions. They will inject great hope and anticipation of the better times that are about to be brought about. Lightworkers are very important in this respect as they can help others to understand the goal that lies ahead, bringing answers to the problems that have overwhelmed them. It is therefore important that you spread your knowledge far and wide as it will uplift those who hitherto had little or no knowledge about it. You are in exceptional times that have shown the worst of the dark Ones and the best of the Light energies that are ever increasing and bringing calmness to you. They will be growing more powerful by the day, and 11.11.11 will bring about a great leap forward that many will actually experience. It will be the commencement of a new period that will bring more changes in your levels of consciousness. It will continue and put you well on the path to galactic consciousness. After all, you are great Beings of Light that are re-claiming your rightful place in the Cosmos. Our task is to see that you do so, and we are about to open up the final pathway to Ascension and beyond. Life largely goes on as before, but people are being inspired to envision the future, which will make the transition much easier. Also many souls that have now grown to maturity are ready to share their advanced knowledge with you. No longer will the dark Ones be able to suppress ideas and inventions that lift up your quality of life. Knowledge was always meant to be shared for the betterment of everyone, and beyond your cycle of duality that is how it is. 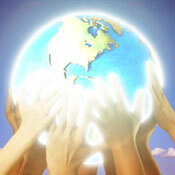 In the energies of Love and Light it is the most natural thing to do, and helps everyone to share the benefits. Greed and selfishness are peculiar to the lower dimensions where self is considered before all else. However, that is already changing and many kind and loving souls simply wait the opportunity to serve others. Many of you will have no doubt noted that we have shown our craft often in large numbers where they can be seen by hundreds of people... Sometimes it is just for your viewing, but we still have our own responsibilities to keep your atmosphere clean, and monitor activities on Earth. We are particularly interested in the physical changes and can calculate the outcome quite accurately. That means we can take actions that hold back the more likely repercussions, yet at the same time allow Mother Earth the scope to make the needed changes. These are certainly interesting times to be on Earth, and, as you often say, the best is yet to come. Set aside your concerns about how the great upliftment will be achieved, as it is well planned and we oversee every aspect of it. Everything that is happening at this time is in some way connected with the ultimate goal to get you safely to Ascension. Once we can openly speak with you the full detail will be given to you in a worldwide broadcast. We have nothing to hide or hold back from you, and indeed we dearly wish to share this grand adventure with you all. You are One and will come together more quickly when the truth is revealed. The divisions between you have been deliberately placed there by the Illuminati and their followers, and maintained to exert complete control over you. That will all change quite rapidly and the barriers are already beginning to break down. Those who are enlightened can see that you are all souls experiencing together, and that colour and religion, or different histories and cultures are of no consequence. You were meant to enjoy the differences as expressions of your many experiences. I am SaLuSa, and pleased to speak with you about matters that are important to your understanding and future. We of the Galactic Federation send our love to you all.